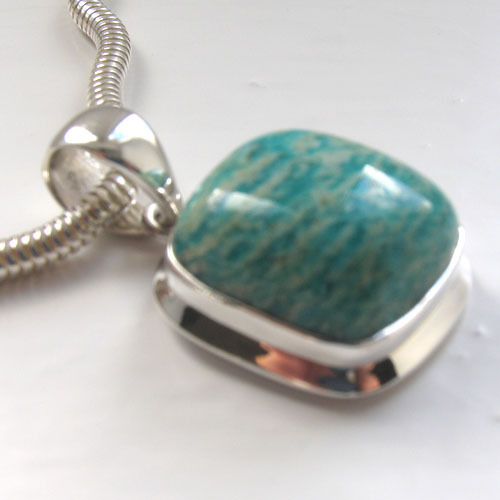 Square amazonite pendant set in sterling silver. 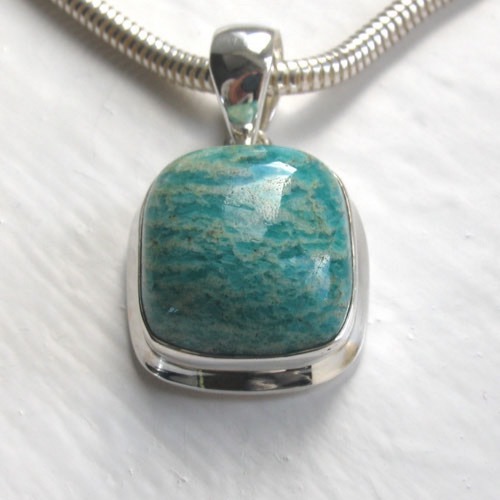 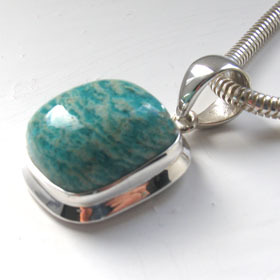 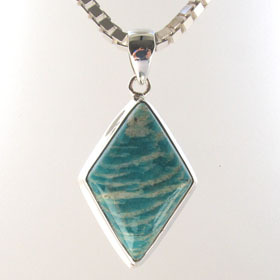 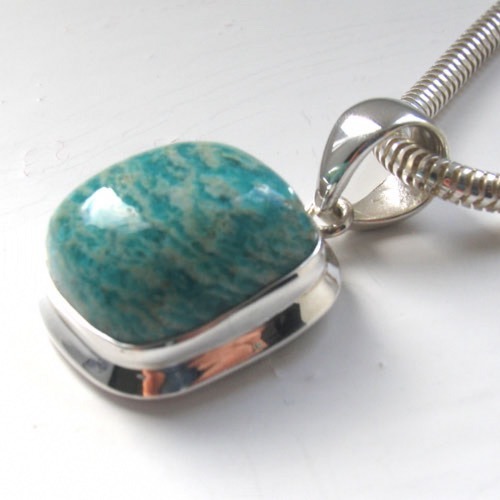 This fabulous amazonite pendant is unique. 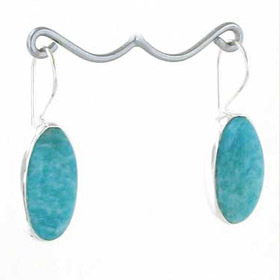 The domed and rounded square shape is unusual and beautifully enhanced by its sleek silver frame. 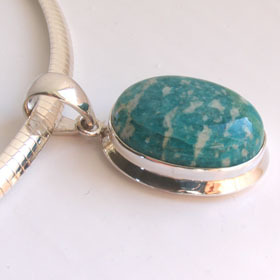 This amazonite gemstone displays the characteristic turquoise flecked with cream of this semi-precious gemstone. 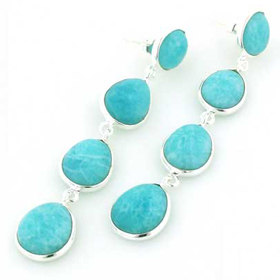 See our collection of amazonite earrings for coordinating earrings. 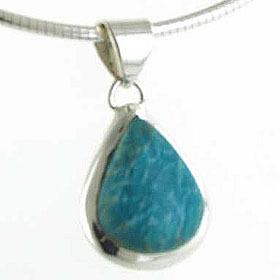 We have built up a renowned collection of Italian sterling silver chains. 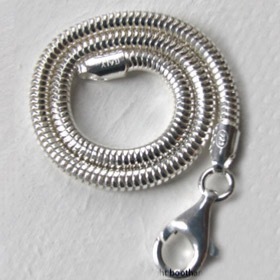 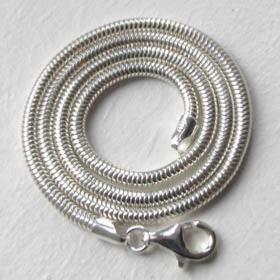 The chain shown in our photos is our silver snake chain, width 3mm - a substantial chain which suits pendants and also looks wonderful worn alone as a sleek silver necklace..